Every garden has a purpose. It may be as simple as a spot of spring color or as ambitious as culinary self-sufficiency. Gardening can and should be a source of pleasure, relaxation, and healthy physical activity, not a grinding and relentless task adding pressure to life. Adding some exciting new plants to your garden “wish list” and incorporating edibles into your flower beds will invigorate an old garden or provide inspiration to start something new. Here are a few varieties that might be fun to try for this season. Some may be relatively new to you, but others such as the Black Krim tomatoes are proven heirloom varieties that perform well in our climate. Blueberry ‘Pink Lemonade’: First introduced in 2009, the first ever pink blueberry, this is a medium-sized, glossy, bright pink fruit. This plant also provides year-round beauty and interest. Pinkish-white, bell-shaped blooms appear in spring. Summer brings pale green fruit that quickly turns deep pink for harvest. Autumn leaves are bright orange and red. Fruit is deliciously sweet and mild; nice firm texture. There are many studies touting the many health benefits of blueberries, and they have the highest sources for anti-oxidants of all fresh fruits. They prefer full sun and an extremely acidic soil so can be a challenge for some, but with help from the right soil amendments it is achievable in our area. Kale: ‘Tuscan Black’: (aka Dinosaur, Nero di Toscana) Thought by many to be the tastiest of the true kales, and due to its dark green color, likely the most nutritious. This variety comes from the Tuscan hills of Italy, where it can be found in nearly every garden. The plants with their long blistered dark green leaves are so beautiful they make an excellent addition to your edible garden or as a backdrop to your perennial flower beds. The leaves can be harvested a few at a time throughout the growing season, or all at once at the end of the season. Like all kales, becomes sweeter after frost. Because it is so fast growing (55 days), make sure and plant a crop in early spring, and then again in the fall because like most kales, it becomes sweeter after frost. Since I am now writing for Every Bloomin' Thing I wanted to go a little further and recommend some soil and fertilizers that you should be using when planting these noted above. Blueberries require an acid fertilizer and soil. So you would want to use Gardner & Bloome Acid Planting Mix for those. 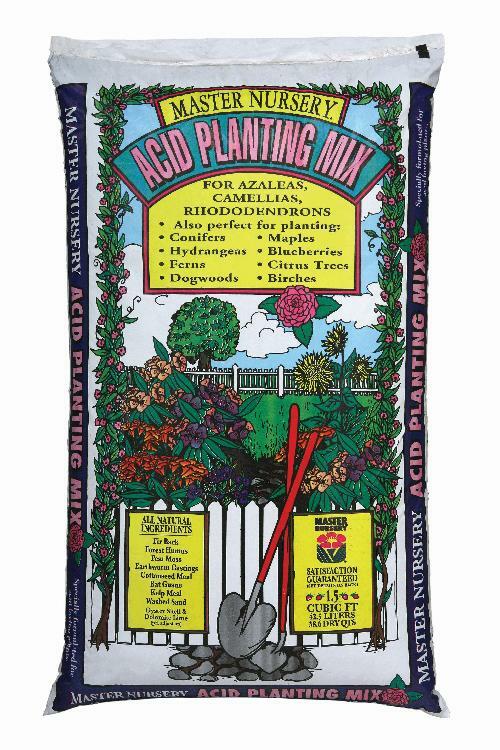 As always a good quality fertilizer is going to assist your plants in having a healthy start. For that we recommend Starter, also by Gardner & Bloome. For the other veggies you could use Gromulch or Gardeners Gold. Mulching with Black Forest is always going to help as the nutrients leach in to your soil with every watering. Enjoy your new edible garden and let us know how we can help you reach your bountiful goals.